Find the HCG Program Nearest YouTelemedicine Available! All Hcg appointments include a consultation, program materials, the Hcg hormone, all the supplies needed and access with the Doctor 7 days a week. Pre-purchase 4 and receive 5. Injectable L-arginine to increase circulation, L-carnitine to burn fat and L-glutamine to build muscle. These are great for when just working out isn’t enough or if you want a top result with Hcg. 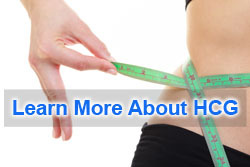 Injectable L-carnitine is great to burn fat with or without Hcg! This is a terrific sculpting, skin tightening and cellulite machine. This provides off the table results! Other services vary in pricing, please call for more information. © 2019 HCG Diet SoCal. All Rights Reserved.